Amazing unobstructed ocean views, Diamond Head views and Ewa hilltop views await you in this perfectly priced Makakilo single-family home. Most of us think owning a home with an ocean view will cost millions. While some homes will cost you, right now you can take advantage of this amazing single-family home with ocean views and Diamond Head views for a great low price. This 4-bedroom, 3-bathroom home is located on Iliohe Street and offers plenty of living space and a decent sized lot. With over 1,700 feet of living space, you and your family will have plenty of room to maneuver around the house without bumping into one another all the time. Wake up to unobstructed ocean views and start you day off right in this perfectly priced single-family home in Makakilo. Enjoy sunrise and sunset views in your fenced in back yard, perfect for kids and animals to run and play until their hearts are content. Located in the neighborhood of West Hills, this perfectly priced single-family home is close to most any of the shopping, restaurants and parks you need. The community is great for families, as there is plenty for the kids to do in the area. With ceramic tile and wall-to-wall carpet covering the home, it is ready to move into as soon as possible. An amazing single family home in Makakilo can be yours today. Perfectly priced, especially when you consider the views, the home size and the amenities, this amazing single-family home in Makakilo can be yours if you are interested. 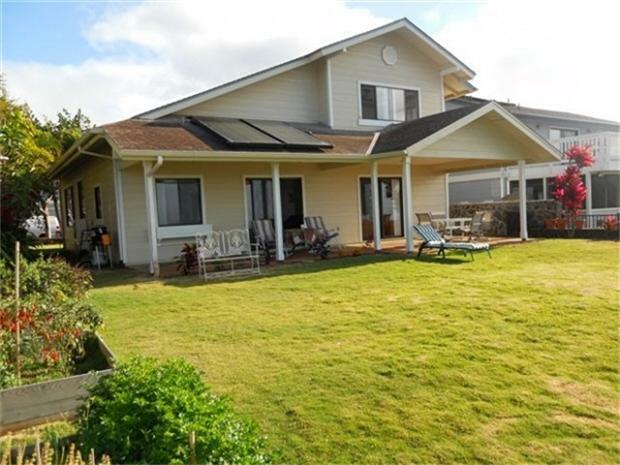 Take this opportunity to view this listing, as well as many other amazing single-family home listings in the Makakilo area now. A fantastic opportunity at a low price is there waiting, just make a call. View more Makakilo properties today!